Morocco, 1st tourism destination in North Africa, WEF 2017 report - The Maghreb Times ! Morocco was ranked on top of North African countries as a tourism destination and third in the continent by the World Economic Forum, which has just issued its 2017 Travel and Tourism Competitiveness Index. 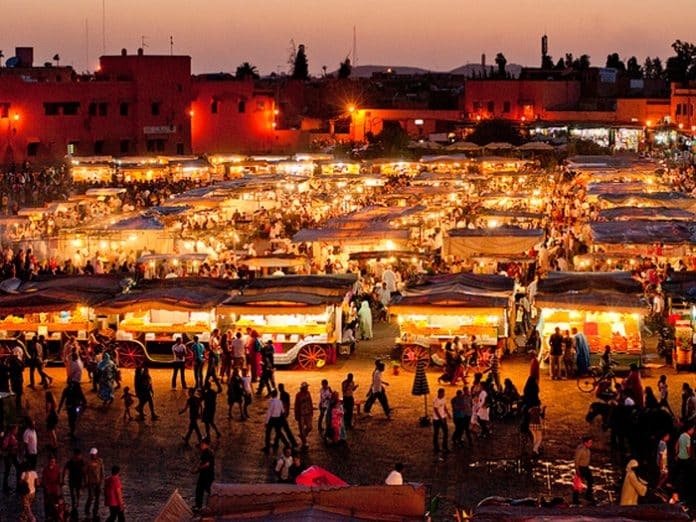 Although Morocco lost three ranks over 2015 global report on Travel and Tourism competitiveness, from 62 in 2015 to 65 in 2017, it still features among African top destinations. The North African country ranks 65th out of 136 countries in the 2017 report compared with its 62nd position in the 2015 report. At the level of North Africa, Morocco came ahead of Tunisia (87th) and Egypt (74th). Algeria took the very last position in the report (136th), which offers an in-depth analysis of the Travel and Tourism competitiveness of 136 economies across the world. At the level of the continent, Morocco ranks right behind South Africa and Mauritius as top African destinations. Even though the Moroccan Tourism Authority is robbing hands for a successful 2017 season, the report however points out shortages and a number of elements to improve in view of attracting larger numbers of tourists. Considering the insecurity plugging several countries, Morocco was ranked the 20th safest destination in the globe. Despite an unfavorable regional context marked by turmoil and instability as well as increasing amalgams due to terrorist attacks in Europe, Morocco managed to maintain its position in the global ranking. In the WEF ranking, Spain came first followed by France, Germany, Japan, the United Kingdom and the United States. The WEF biannual report reveals that the global travel and tourism sector accounts for 10 percent of global GDP and provides one in 10 jobs worldwide.